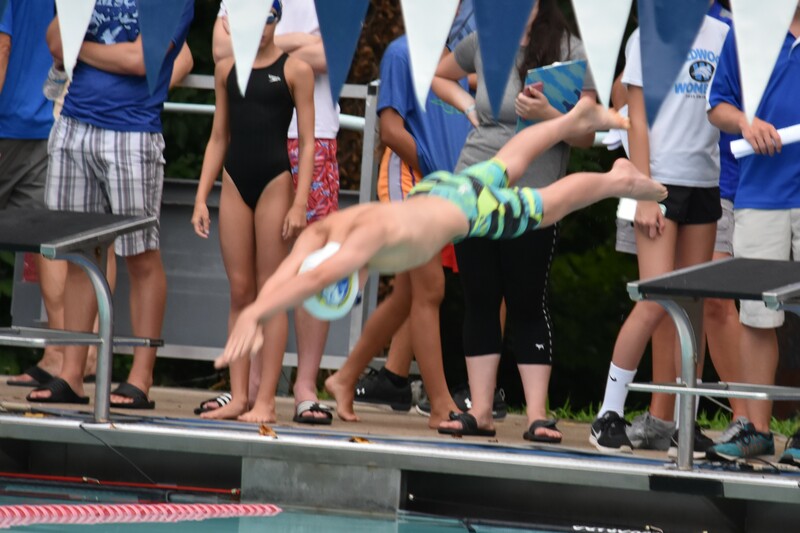 Tuesday night, the Montgomery County Swim League (MCSL) held their 39th annual Coaches Invitational Long Course Meet at the Rockville Swim and Fitness Center. All night, the rain clouds threatened, but the real threat turned out to be the swimmers assault on the record books! The evening started with the presentation of the Sarah Auer Scholarship, which was established in 2003 to recognize graduating High School seniors each year who are MCSL swimmers and who have exhibited noteworthy qualities in other areas of endeavor. The first MCSL scholarships were awarded in 2004, and through the 2017 season, a total of 58 MCSL swimmers have been recognized. Charles Auer made the presentations and also announced the naming ceremony of the Western County Outdoor pool in Sarah’s memory at noon on Sunday, July 16. The swimmers were seemingly inspired by the ceremonies as they went after the records from the first event. Unlike PVS meets, where swimmers compete in events at their age on the day of the meet, the MCSL age-up date is June 1, meaning kids who turn, say 13 on June 2 compete as a 12 year old for the full MCSL summer season (not as a 13 year old). In our account below, we will recognize the USA Swimming rank for their current age, not the MCSL age. The Coaches Long Course meet this year was was a pretty amazing event, with a total of 14 records being broken (and two near misses), with two events not broken since 2001! Jason Hernandez-Fuentes led off the night and narrowly missed breaking the 12 & Under record by 0.34 seconds (6th Fastest 12 & Under- USA Swimming). 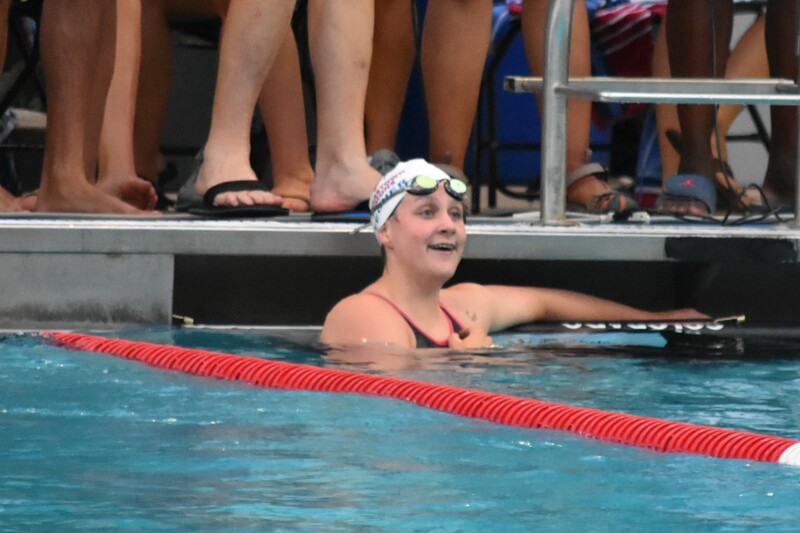 Carly Sebring made her mark by breaking the Girls 12 & Under record by over 2 seconds, finishing in 2:28.09 (31st fastest 13 yr old-USA Swimming). The old mark was 2:30.94 and was set last year by Sophie Duncan. 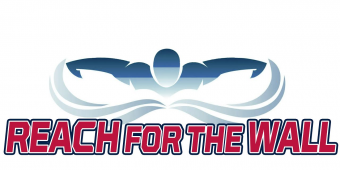 The next two events also saw the records fall, Brett Feyerick blasted a 2:12.80 (6th Fastest 14 yr old-USA Swimming) and Catherine Belyakov went 2:22.16 (23rd fastest 15 yr old-USA Swimming) to eclipse the mark set by Phoebe Bacon last year. Not to be left out of the record breaking party, Princeton bound Sam Tarter followed through with the 4th record in a row by swimming a 2:07.65 for the 15-18 200 IM (22nd fastest 18 yr old- USA Swimming). Erin Gemmell swam an amazing 100 free, posting a new record of 58.71 (2nd fastest 12 yr old – USA Swimming). She eclipsed the record set by Caroline McTaggart set in 2009 by almost a full two seconds! Matthew Hirschberger (headed to Stanford), fresh off his performances at US Nationals (200, 400, 800, and 1500 freestyle), took aim at the 15-18 200 Freestyle record, but came up .13 seconds shy, posting a very swift 1:53.77. Adriano Arioti got things going in the backstroke events by setting the 9-10 mark at 33.31 (17th fastest 11 yr old-USA Swimming), almost two seconds ahead of the standard Sean Stewart set in 2001. Phoebe Bacon, also returning from US Nationals (50, 100, 200 Backstroke, 200 IM and 100 Butterfly), broke her own record from 2016, achieving a 1:02.84. Phoebe was a bit faster at Nationals (1:01.93) where she swam the 2nd fastest 100 backstroke by a 14 yrd old. A trio of 9-10 boys bested the 2010 record in the 50 (held by Robert Qian), with Eric Sanidad touching the wall first in 38.16, followed by Wesley Lee (38.63) and John Frank. In the USA Swimming rankings, the order is reversed with Wesley Lee at 2nd and Eric 3rd fastest 10 yr olds. John Frank has aged to 11, and is sitting 66th with his time of 38.87. Not to be outdone by the boys, Emma Lantry blasted a 36.88 to capture the record that was previously held by Rachel Danegger in 2011. Her time vaulted her to #1 in the USA Swimming rankings! To continue the record breaking string, both Jason Hernandez-Fuentes and Joyce Wu broke records in the 11-12 100 distance. Jason’s time of 1:13.56 broke John Clado’s mark from 2013 and Joyce’s 1:14.25 broke Susan Kim’s 2001 standard by more than 2 seconds! Joyce’s time puts her at 2nd in the USA Swimming rankings and qualifies her for Junior Nationals. Jason’s time puts him at 6th in the USA Swimming rankings. The finale of record breakers in breaststroke came with Harvard bound, Jaycee Yegher. Jaycee bested her record from 2016 by clocking a 2:34.38, a time that puts her 6th in the USA swimming rankings and qualifies for Nationals! Kirk Morgan took a commanding lead and powered into the wall to break the record set by Darius Trong in 2011. There was a bit of suspense with the clock not displaying his time correctly and the crowd erupted when it was announced he touched in 36.64. The swim puts Kirk 4th among 8 yr olds in USA Swimming rankings. The final record breaking swim belonged to Phoebe Bacon in the 13-14 100 race. Her time of 1:02.10 bested a record set in 2011 by a familiar name … Katie Ledecky. This time puts Phoebe at 3rd among 14 yr olds in USA swimming rankings. Congratulations to all who participated! Full Results available at the MCSL website.